Pretty good little saying, huh? I’m a big fan of Jim Knight. He’s like the guru of instructional coaching. This book is packed full of great tools and practical ideas for coaches. 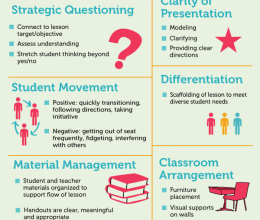 One of the ideas/tools he introduces is a framework called “The Big Four” which is made up of four high-leverage instructional practices that I think serve as helpful “buckets” for guiding your observations and feedback to teachers. This was the first book of his I read, and it has some great tools and practical ideas to offer. After reading Jim’s first book on instructional coaching, I was on the hunt for more! I read this book last summer and really enjoyed it. One of my favorite chapters was on facilitating workshops for adults. I was able to apply much of what I learned from this chapter to the weekly professional development sessions I help facilitate with teachers. If you’re looking for some tips in this area, this would be a great book for you to check out. I heard about this one through the Coaching Teachers course I took on Coursera. The chapter of the book that I’ve gravitated the most towards, is on Observation and Feedback. Reading through this chapter, in conjunction with the Coaching Teachers course, gave me a new way to frame my debrief conversations: probing questions to ask, examples of bite sized and high leverage action steps and building in time for practice/implementation. I’ve written about Elena’s book before, but it’s just so great I have to gush about it again. What I love most about this book is it makes coaching feel really approachable…like, “Yeah! I can do this!” Sometimes I get overwhelmed just after reading the first page of a book, but not this one. I just read and read and felt better and better about what I could do. Last, but certainly not least, I’m really excited to share with you guys a planner I created just for us coaches. It’s a planning kit actually, made up of all the different tools I’ve used to help me plan, organize, and coach. More info to come on how I plan to organize/use mine, but in case you’d like to take a peek and get a head start, you can find it here! 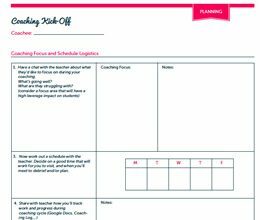 The Simplified Coaching Planning Kit was designed work alongside the Time & ToDo Planner. These two put together, make a strong team! And now for a few more good ones. 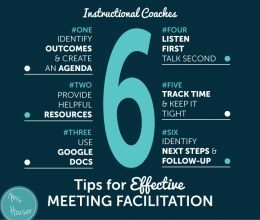 While these resources aren’t specific books or sites about instructional coaching, they have still helped me improve my work in different ways. This books has somewhat of a cult following and I’m a member. I learned so much about effective systems and strategies for managing your time and tasks from this book. As a coach, you need to be reliable, dependable, and organized…someone who does what they say they’ll do when they say they’ll do it. This helps you build trust with teachers and can’t be overlooked. 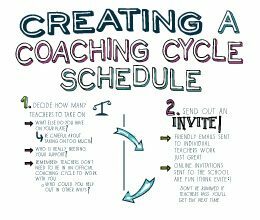 Having effective systems and structures in place helps you to be that kind of coach. As a coach, your head is often swimming with ideas of “what could be”…from a personal level, to a classroom level, to a schoolwide level. The trick is deciding which ideas are worth taking action on and then making those ideas happen. And as a coach and leader, I would even say it’s your responsibility to capture those ideas and work on bringing the worthy ones to life. I really liked this book because it helped me take a close look at how I budget my time. When the school year starts, things can get crazy real fast and it’s easy for all of your time to get sucked up by school. Don’t let that happen! Interesting teachers/coaches lead interesting lives…that means they make time for side hobbies or passions, exercising, cooking…whatever it is you’re into outside of school. Right now would be a good time to start thinking about how you’d like to budget your time to make room for all the things that matter to you and see about making it happen! Did I leave something off the list? Have a favorite book, blog, or other resource that you’d like to add? Share it in the comments below. I had been trying to figure out what pieces I was going to use from you planning products and then you posted this on Etsy, I was thrilled and purchased it immediately. Now I just need a little advice on how to organize it. I’m going to purchase my arc disc binder next week, but not sure where to go from there. I’m so sorry for the late reply…Wordpress didn’t alert me of your comment so I’m just now seeing it! Argh. Anyhow, I’m planning to share how I’m organizing mine in an upcoming post…hopefully this week. Or maybe you already have yours put together?!? First thank you. I feel life like I learn so much from your blog. I became an school instructional guide on Tuesday and start Monday, not a lot of time to plan. I’m a high school IG, which of these resources do you think would be the most applicable?